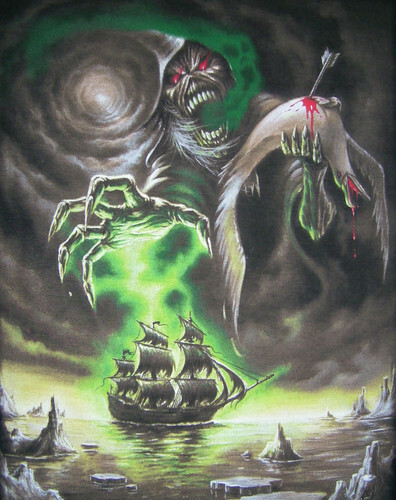 Rime of The Ancient Mariner. . HD Wallpaper and background images in the Iron Maiden club tagged: iron maiden eddie wallpaper. This Iron Maiden photo might contain sign, poster, text, chalkboard, anime, comic book, manga, and cartoon. Long life to the great Eddie ! ;) .